and the quality of your sleep! 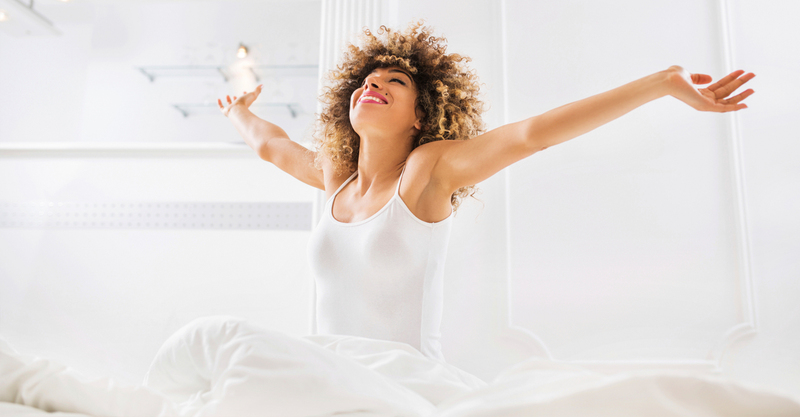 back sleepers have fewer wrinkles! 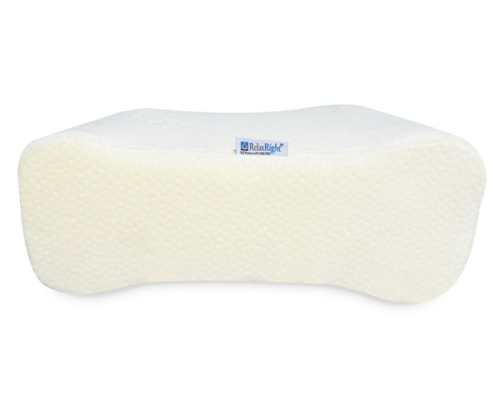 Better Sleep, Better posture: Relax Right pillows! Cotton wicks away moisture and is healthier for your skin; cooler to the touch! 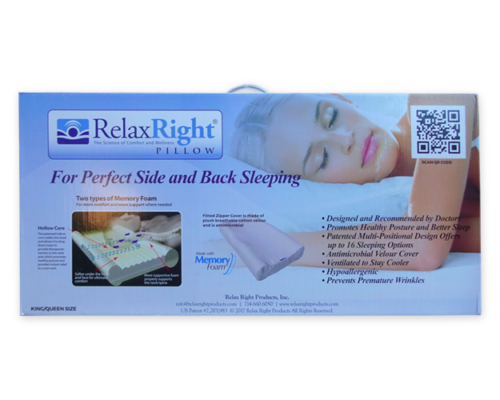 For perfect side and back sleeping! 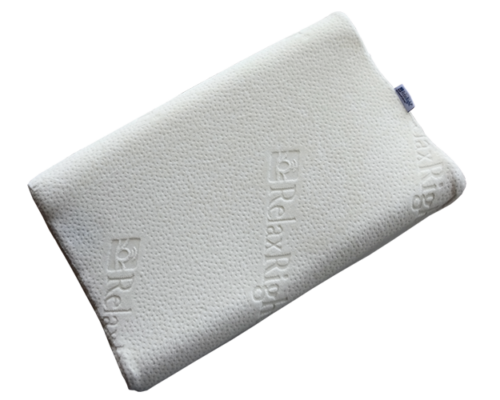 Raving Relax Right Pillows Reviews! I looked at my old pillows the other day and told my wife to throw them away. I’ll never go back to sleeping on them! 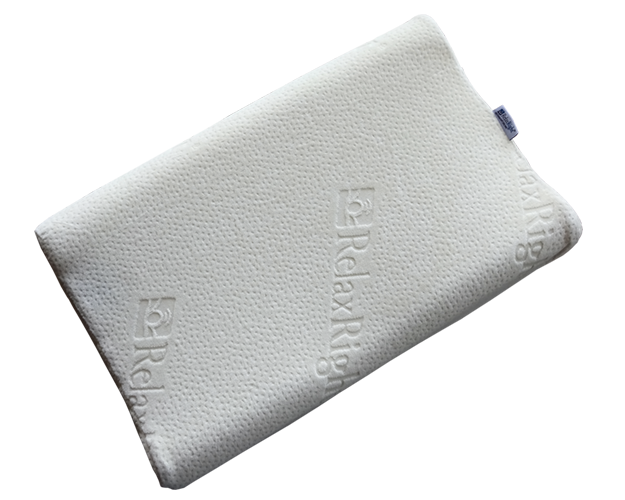 Just the thought of having a delightful Relax Right pillow waiting for me, well, actually excites me. 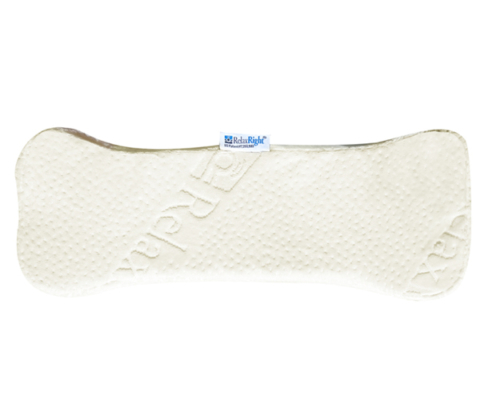 I generally start to sleep on my back with the hollow core supporting my head. When I need to change my sleeping position, it’s a perfect transition to either my left or right side – no fluffing or fussing with the pillow to get it ‘just right’. It’s like magic! My cosmetic surgeon recommended I sleep on my back after my surgery, but sleeping in a semi-reclined position was uncomfortable, I didn’t get much quality sleep, and my husband said I snored. 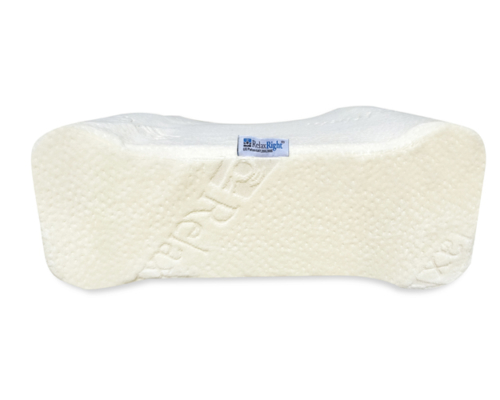 The Relax Right pillows were the solution! Now both of us look forward to bedtime! I used to complain to my chiropractor about headaches and back stiffness when I woke up in the morning. He suggested trying a different pillow arrangement, since I have lots of pillows on my bed and would move them around to get comfortable. 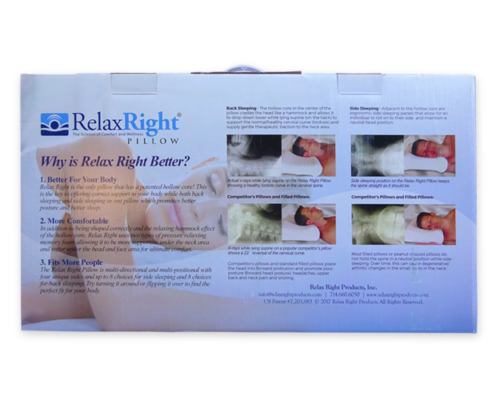 After lots of research I tried Relax Right pillows. What a difference! Just one pillow instead of several! Now I have just one sleeping pillow and lots of decorative ones! My three year old wanted a pillow, but all of ours were too big for him. His tiny head seemed to either bend too much at the neck or sink in too far in the pillows I tried. 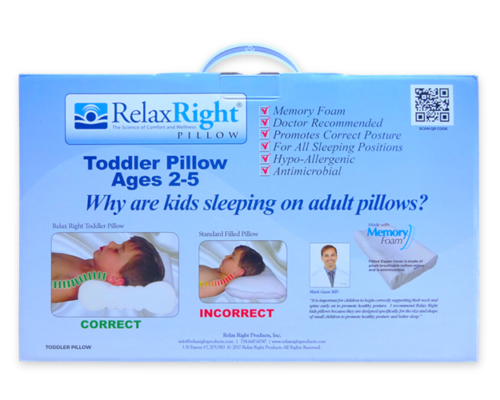 Then I found the Relax Right toddler pillow. He loves it! You know, kids toss and turn a lot while sleeping, so the pillow is moved around. He puts his head on the pillow to start out, but by morning the pillow is nowhere near his head. He can move it around like a toy. I made a mistake. 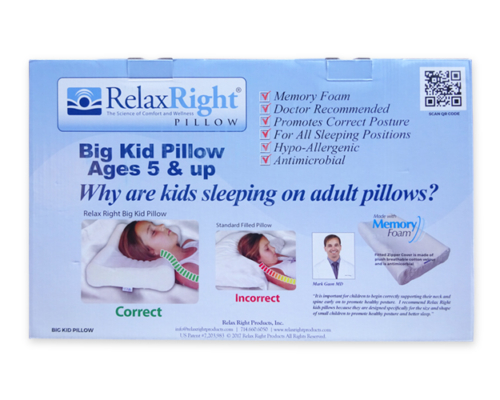 I got just one Relax Right pillow for my 8 year old. His sister (6 y.o.) and a younger brother (5 y.o.) would put up a stink about not having one, sometimes resulting in ‘the stolen pillow drama’ around the house. Needless to say, I got 2 more and all the kids love ’em!